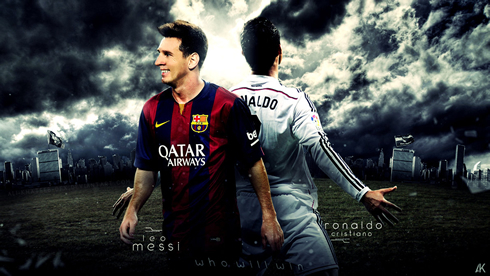 ﻿ El Clasico preview: What's really at stake for Real Madrid? 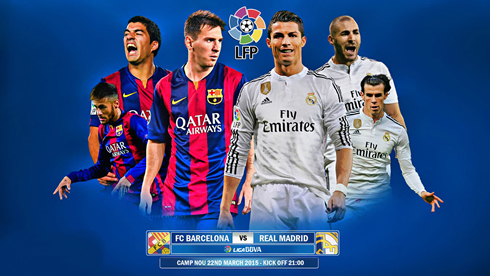 20.03.2015 » El Clasico preview: What is really at stake for Real Madrid? In the upcoming weeks, Real Madrid will be on a quest to exercise as many demons as possible. Today, the UEFA Champions League draw revealed that their next opponent would be Atletico Madrid, a team that the Merengues haven't beaten in six games this season. But before what will inevitably be a hard fought two-legged encounter, Real Madrid have bigger fish to fry, in the form of the in-form Barcelona. This Sunday's trip to the Camp Nou couldn't not only be more crucial, as it also couldn't come at a more inopportune time for the reigning European champions. The squad is quite frankly performing at a level that pales in comparison to the brilliance we saw in the first half of the season and it's hard to believe that they can change a lot in so little time... You can watch Juventus live stream, the Barcelona vs Real Madrid live on Sky Sports 1 in the UK and on beIN Sports in the USA. 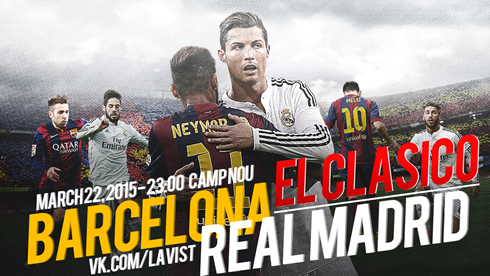 The Clasico kicks off at 9PM in Spain and it will naturally be broadcasted worldwide. 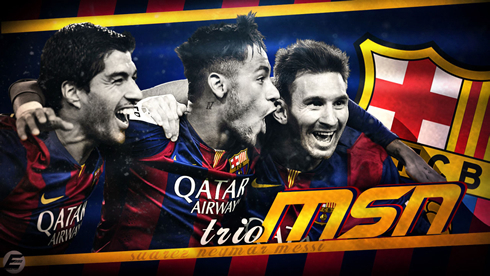 Barcelona on the other hand, are flying... Lionel Messi seems to be in his best form since 2012 and the highly vaunted attacking trio that includes the Argentine along with Neymar and Luis Suarez have gelled and look like a cohesive unit. 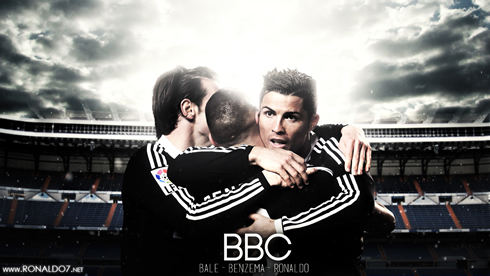 At least far more cohesive than the current BBC looks here in Madrid. Of course the two biggest starts on the pitch, Cristiano Ronaldo and Lionel Messi, will have the biggest spotlights shone on them this Sunday (or in Ronaldo's case, those pesky eye lasers). When these teams met a few months ago, Ronaldo was in the form of his life. In that game in particular, in which CR7 scored a penalty, the Portuguese attacker was vibrant and dynamic in the final third. He was also very unselfish (if not for some woeful finishing by Madrid on the day, they could have scored far more than the three goals they did on the day). Now, Ronaldo cuts a frustrated figure on the pitch, things aren't going his way and it's visibly taking its toll on him, as evidenced by his recent outbursts on the pitch. On the other hand, Lionel Messi is being touted as the greatest player in the history of the sport in the wake of his recent appearances. He's completely caught up to, and surpassed Ronaldo in the Pichichi race. His master class against Manchester City earlier this week was also a sight to behold. Real Madrid needs Ronaldo to have a great game on Sunday, if they really are expecting to come out of the Camp Nou with a win that would allow them to jump back to the league lead. The El Clasico is often a game that comes down to moments of individual genius and it would be the perfect occasion for Ronaldo to put the current rut he's mired in (by his lofty standards of course) behind him. What will Carlo Ancelotti opt for? One can only hope is the successfully 4-4-2, but it's far more likely that we will see the 4-3-3 formation that the Italian holds to dear to his heart. The BBC has run into a bit of a dry spell as of late and the kind of understanding and sacrifice that made them such a force to be reckoned in last season has largely dissipated. Still, it's the biggest game of the season so far and considering the fact that the Merengues surrendered the league lead a few weeks ago, they have to go all out for the win. It will surely be a fascinating encounter! 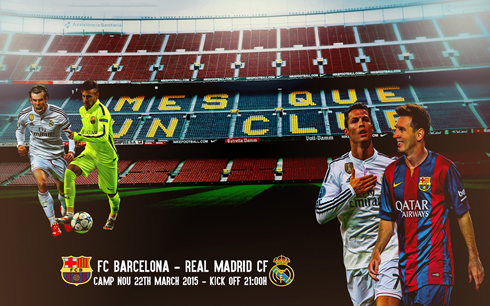 Cristiano Ronaldo next game will be the El Clasico for La Liga against Barcelona, on March 22 of 2015. You can watch Juventus live stream, Barcelona vs Real Madrid, Villarreal vs Sevilla, Manchester City vs WBA, Newcastle vs Arsenal, and Hannover vs Borussia Dortmund, all matches provided from our soccer live section.